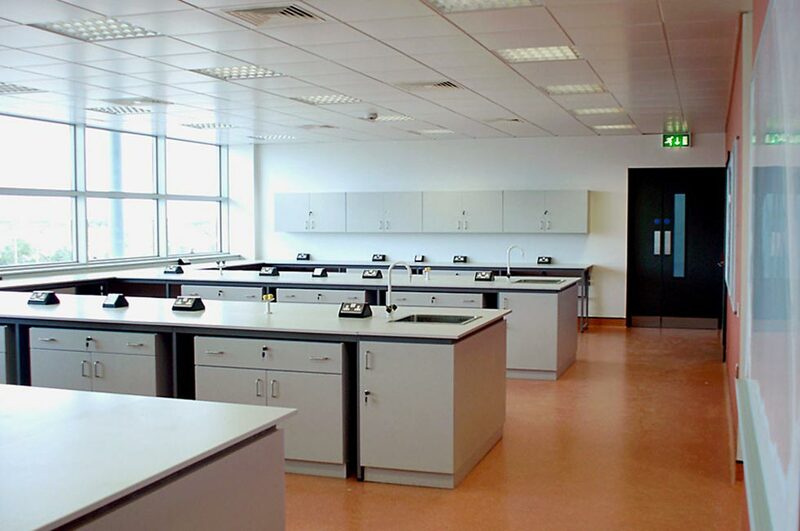 DCU’s Science Research Facility and School of Engineering flagship building has a number of different functions. Our challenge was to balance the creation of a suitably restrained, yet open, public face at the new main entrance to the campus, with the need to provide an animated focal point and a series of specialist spaces at the heart of the university’s science precinct. 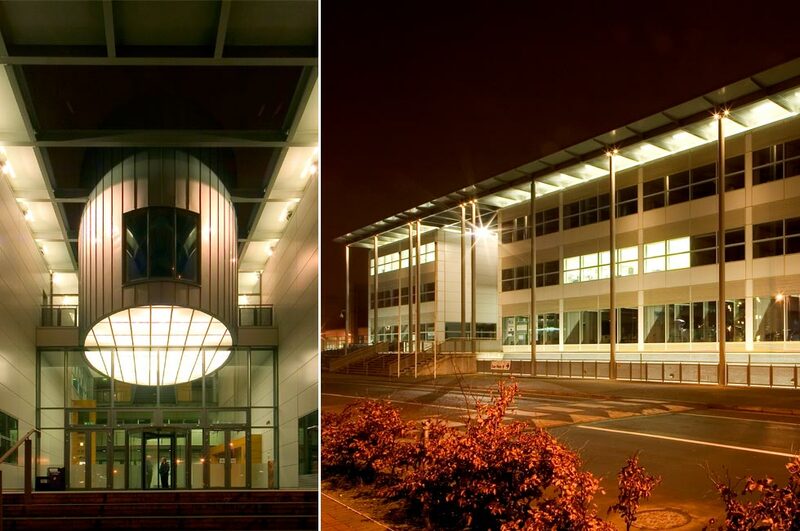 In addition the five disparate user groups wished to retain their autonomy within a coherent overriding building form. 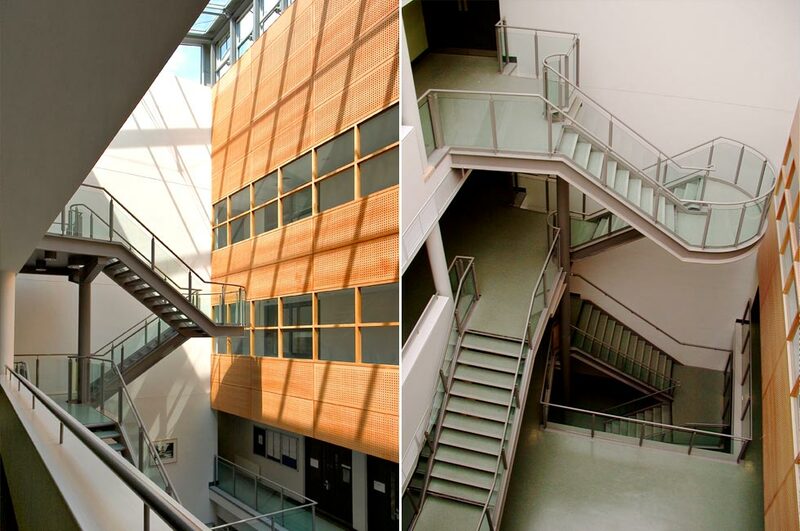 Meeting these requirements meant organising distinct volumes around unifying communal atria and circulation spaces. 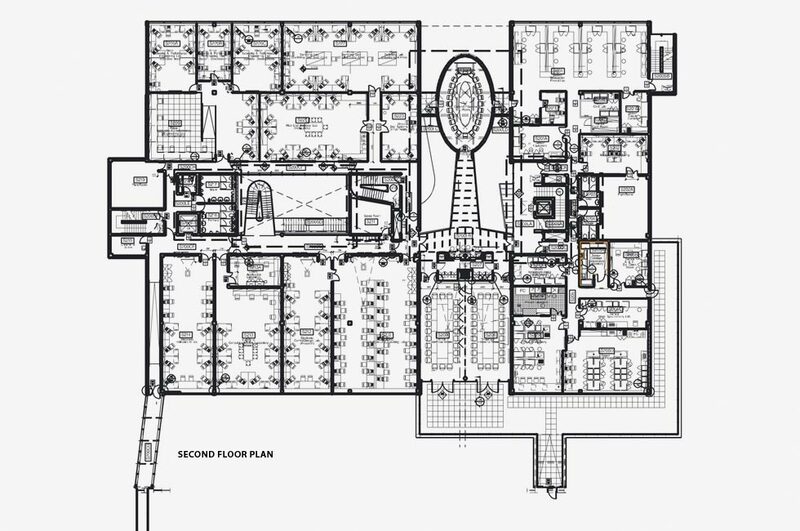 The 11,500 sq.m. 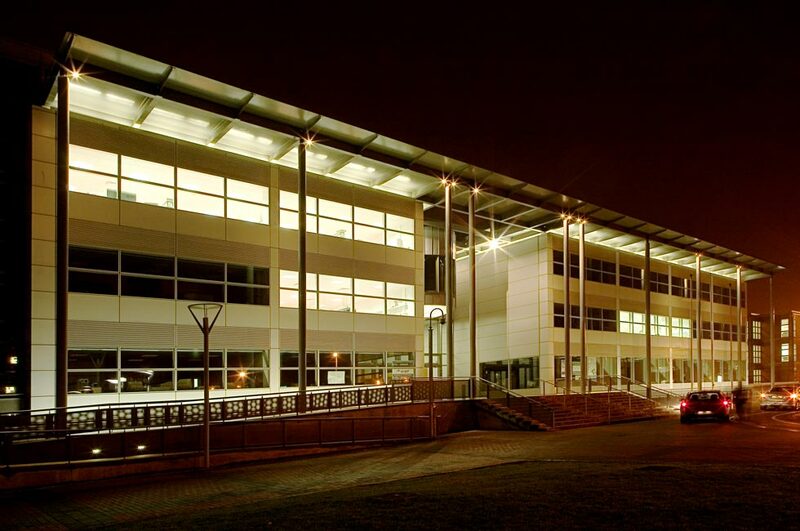 of accommodation for the Sensor, Plasma and Rince research groups, and the schools of Mechanical and Electronic Engineering are concealed behind a skeletal steel portico, capped by a continuous cantilevering canopy, set out from a simple modulated external facade. 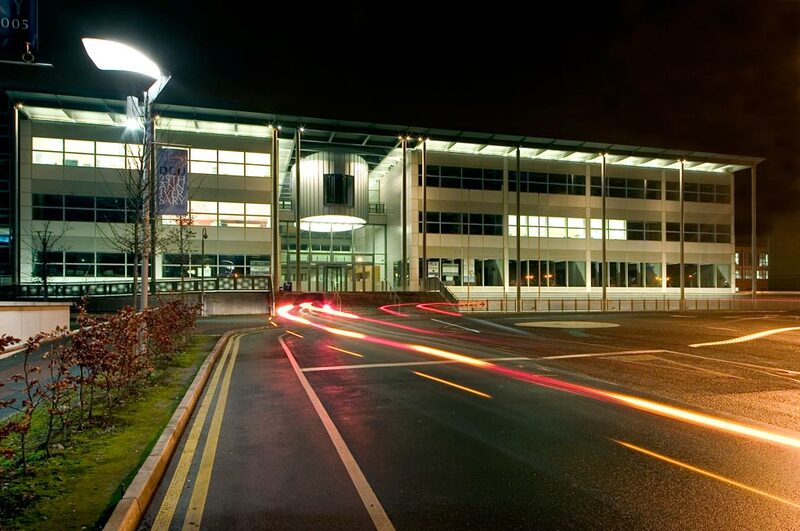 The latter is composed by the vertical layering of multifarious functions from internalised heavy equipmentbased workshops within the podium base on which the outward looking class-rooms, computer and science laboratories are located with open, light filled offices at roof level. 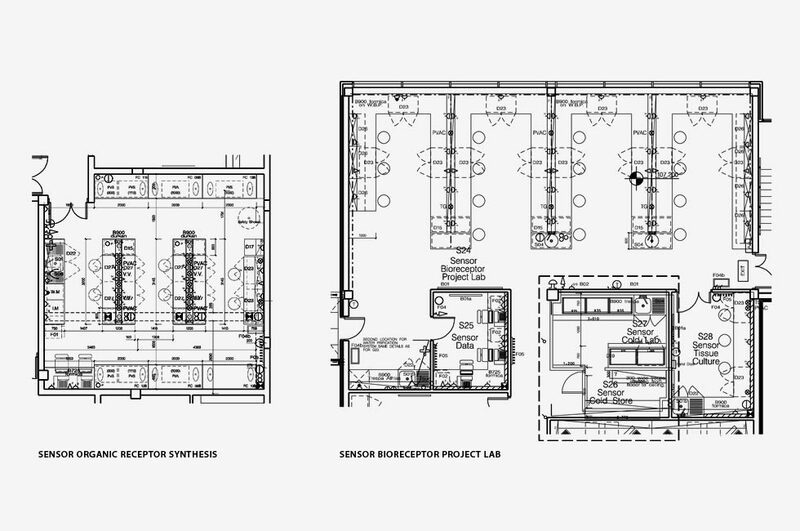 All laboratory layouts were developed through detailed user group discussions. 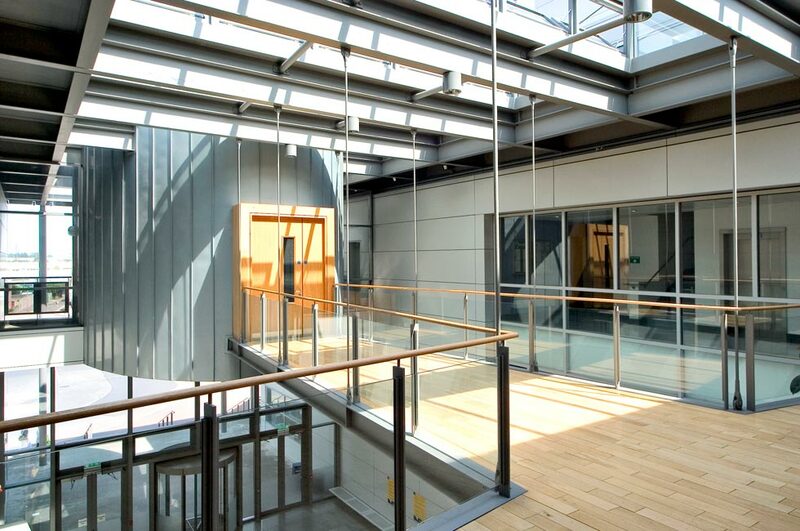 The entrance concourse / winter-garden cuts through the building on all levels contains the main university reception and information point and promotes movement through to the campus beyond. 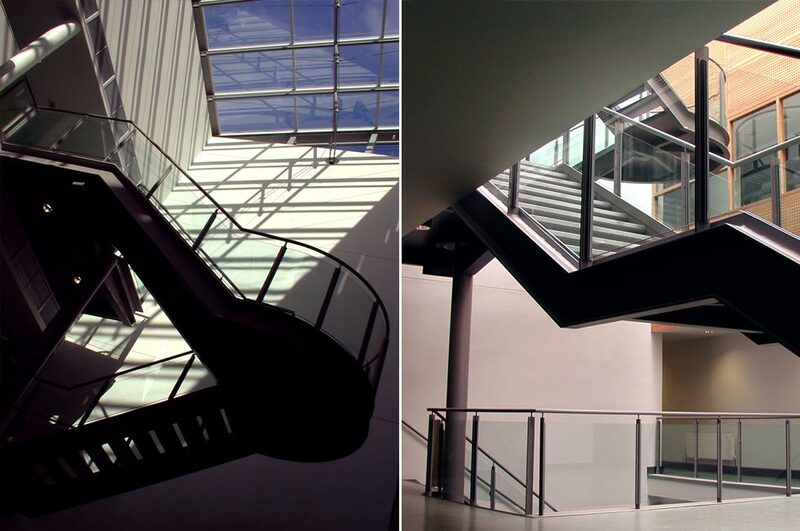 An elliptical conference room, suspended two floors above the entrance, acts as a dramatic keystone reinforcing the concept of gateway.